Apparently, yesterday was the day all of hockey’s media decided to begin their predictions for the 2014 Olympic games in Sochi, Russia. From ESPN to Yahoo, both the USA and Canada has been the talk of the best international hockey tournament on the globe. Luckily, no one is yet talking about the hosts, the best national team in the sport, and the reason you all read this site. Russia has named their squad for their upcoming tour in Europe ahead of the 2011 World Championships. The games will be played in Sweden and the Czech Republic. Evgeni Nabokov returns to the team after missing most of the latter half of the NHL’s regular season with contract disputes while young guns Vladimir Tarasenko and Artemi Panarin, who helped the junior squad capture gold earlier this year, also get to vie for a spot for the Championships in Slovakia. New Jersey’s Vladimir Zharkov is a surprise call-up having scored just 2 NHL goals while last playing for Russia in 2006. There’s beating a dead horse and then there is the Alex Ovechkin vs Sidney Crosby rivalry. The NHL’s two biggest stars, rivals on the ice yadda yadda yadda. The league received much criticism when it awarded this year’s Winter Classic (tonight at 8pm NBC) to Washington and Pittsburgh with the Crosby led Pens appearing in their second Classic in the event’s short four year existence. While the league is doing what’s best to generate interest and revenue by pitting their poster boys against one another outdoors in front of what’s expected to be 67,000 fans it leaves many who have been fans before this new rivalry feeling slightly cheated. While introducing new signings Evgeni Nabokov and Denis Grebeshkov, KHL and SKA St.Petersburg president Alexander Medvedev announced that long-time NHL winger Maxim Afinogenov planned to join his club for the upcoming season. 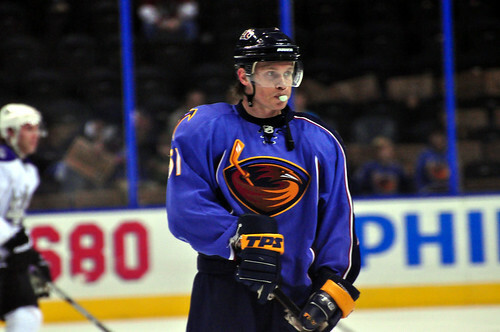 Afinogenov agreed to join the club for the next five years after the Atlanta Thrashers wouldn’t meet his demands. On Thursday, Russia got slight revenge on their Canadian rivals for the first time since the 2010 Vancouver Olympics by ending their chance for any medals with a 5-2 win at the Men’s World Championships. Goals from Maxim Afinogenov, Evgeni Malkin, Sergei Fedorv and Pavel Datsyuk would power Russia to their third consecutive semi-final game where they will meet hosts Germany on Saturday. Russia earned their 24th consecutive victory against the team that was last to beat them on the World’s stage on Tuesday by shutting out Finland 5-0. With the win the team earns the right to play Canada in the quarter-finals on Thursday in a rematch of the 2010 Olympics and the last two gold medal games at the World’s. Russia continue to cruise towards their third straight gold medal at the Men’s World Championship after posting back-to-back wins over the weekend in the qualifying round. On Saturday, Russia played their arguably most difficult game against hosts Germany in front of a crowd of 18,000, captain Ilya Kovalchuk opened up the scoring with a wrist shot 14:20 into the period. Despite having the early lead the Russians were outshout 13-12 forcing Semyon Varlamov to stop more than half of the shots he faced against Belarus on Thursday.